4 Ways to Make Grilling Healthier This Summer - TIME Magazine. A Smarter Way to Clean Your Home - The New York Times. ALESSI PRODUCTS - Alessi products are part of more permanent museum collections than any other design company! ALFI - "Designed to Perfection." Thermal coffee carafes, stainless steel thermos. Amazon’s Alexa-enabled microwave hands-on: it cooks but does not speak - "It’s a showcase for Amazon’s Alexa devkit." AMBROGIO ROBOTS - "Ambrogio will do it for you." The automatic lawnmower saves your time and works while you rest. ARMANI CASA - bathroom, beds, chairs, occasional furnitures, sofas and armchairs, storages and tables by Giorgio Armani. AUTHENTIC MODELS - unique collection of furniture, lighting, nautical, flight, museum, globes and kids decor items. BAILLY PRESTIGE ABRIS - "Entirely “on demand” settings for your swimming pool, car or terrace, our protective wood structures can be decorated with gold, sculptures, armorial bearings, lightings and precious stones." Bake a Pizza in a Minute Flat With Ooni's Backyard Oven - Uuni Pro Review. "Red sky at night, flash-fired delights." baking equipment you need for your kitchen right now - The Telegraph. Beddit - "Monitor your sleep with the Beddit Sleep Monitor – accurately and without any wearable sensors. All you need to do is sleep while Beddit takes care of the rest." best air conditioner - Wired. best clothing iron - engadget. best electric kettle - "Cuisinart wins for the fifth year in a row." best handheld vacuum - engadget. best smart LED light bulbs - engadget. CARRARA MARBLE - Italian production and export. Char-Broil - gas, charcoal, electric & portable grills, smokers & roasters. Cire Trudon - "Founded in 1643, on the threshold of the reign of Louis XIV, Cire Trudon is the oldest Candlemaker in the world still active today." Coromandel screen - Chinese wooden folding screen coated in dark lacquer that is carved before being painted with gold or varied colors. Some may be decorated with precious stones. CREATIVE CANDLES - "Handcrafted in the USA since 1961." DANIEL MARSHALL - "A Symbol of Quality." Since 1982. Precious wood desk collection. DEAN & DELUCA - kitchenware, utensils, tools, cutlery, flatware & cookware. DINESEN WOOD FLOORS - "The Dinesen family business has been manufacturing solid wood floors that combine unique character and dimensions since its foundation in 1898." Ducane Grills - since 1975. High-end gas grills. DYSON AIRBLADE - hand dryer works in just 10 seconds. 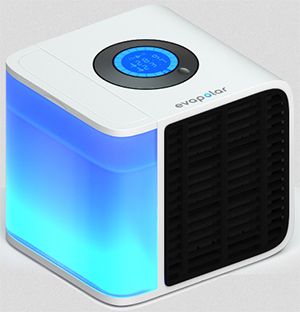 Dyson Crams a Heater, Fan, and Air Purifier Into One Device - Wired. Dyson Is the Apple of Appliances - The New York Times. 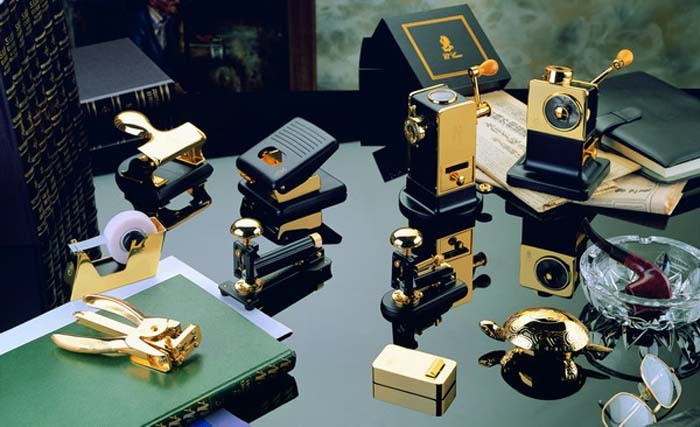 EL CASCO - provides since 1920 the finest range of luxury desk accessories in the world. E. dehillerin - since 1920. "Le spécialiste du matériel de cuisine." Expert in kitchen and pastry tools and cookware. ELEMENT BY FUEGO - smart new outdoor grills. E. R. Butler & Company - "Premium quality custom hardware manufacturer of fine architectural, builders’ and cabinetmakers’ Early American, Federal and Georgian period hardware for doors, windows and fine furniture." Escape Tyranny of Keys With August’s Smart Lock Pro - Wired. FARROW & BALL - wallpapers. 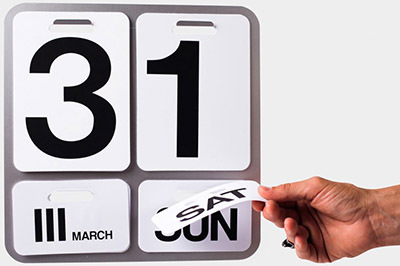 Formosa Wall Calendar - by Danese Milano. FUEGO GAS GRILL - "Modern Design | Premium Performance." Gate - "The First Camera-Equipped Smart Lock." 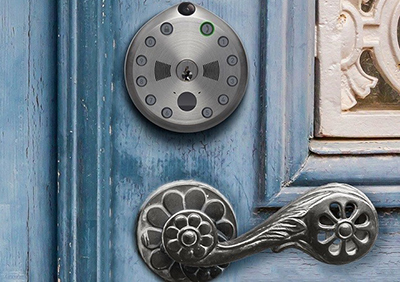 Gate enhances your deadbolt with a motion-activated camera, keypad, and 2-way audio. Manage everything from your phone. Google Assistant now controls your Nest x Yale smart lock - "Lock the door with your voice, wherever you are." HEBANON - "The Italian wood style since 1830." Hey, Alexa, Why is Amazon Making a Microwave? - The New York Times. HOLLAND & SHERRY - pillows and embroidered and cashmere throws. houria tazi - for more than 30 years, her beautiful tablecloths and magnificent sheets decorate the most beautiful houses of the world. Instead of a smart lock, Locky makes your key smart - The Verge. JACOB JENSEN DESIGN - famous Danish designer. Johnstons of elgin - since 1797. Cashmere hot water bottles. Johnstons of Elgin - since 1797. Doggy doorstops. 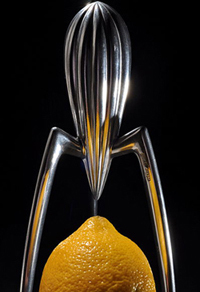 Juicy Salif Citrus Squeeze - designed by Philippe Starck in 1990. It is considered an icon of industrial design that has been displayed in New York's Museum of Modern Art. 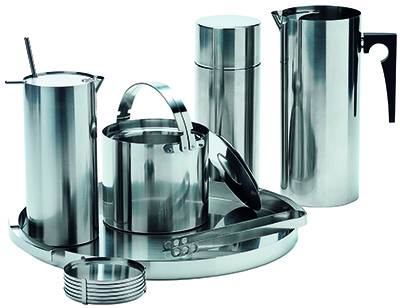 It is manufactured by Italian kitchenware company Alessi. Its diameter is 14 cm, height 29 cm, and it is made from cast and polished aluminium. KIRSCH - "Create an extraordinary view from the outside in. Kirsch Vertical Blinds and Ambiance Sheers with Room Darkening are available in more than 200 luxurious colors and patterns in a variety of updated collections to provide you with ultimate versatility." Knock knock. Who's there? a new generation of doorbells - The Guardian. 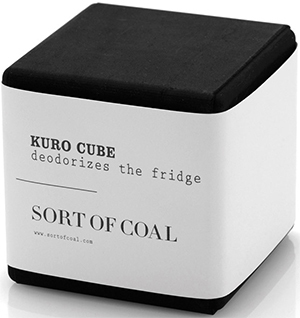 Kuro Cube - "Deodorizes the fridge." Compressed cube of activated white charcoal that naturally reduces odors, absorbs gasses, and purifies the air in your refrigerator, closet, drawers, and other small spaces without chemicals for up to 5 years. 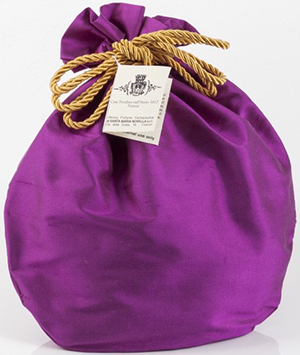 L'Anatra d'Oro Boutique Toscana - Online Shopping - Florence Italy - "Beauty is in the details. Add a touch of luxury and whimsy to your home interior. You'll find selected elegant-chic decorative objects, handcrafted in Tuscany by skilled italian artisans.Unique and high class accessories and accents for every rooms: from crystalware to handcrafted bronze art, from fine italian home linens to tuscan beauty products and home & office fragrances." Landmann - "USA Grills Smokers & Fire Pits Manufacturer." Manufacturer of high end Gas Grills, Charcoal Grills, Smokers, Firepits, Log storage and Fireplace grate products. Everything we do is centered around producing a quality product, meant to be enjoyed by our customers for many years. LIGNE ROSET - home entertainment furniture. LIVING COLOR - recognized worldwide in the design, build and installation of custom salt and freshwater aquariums. LOCKER & RILEY - "Artisans in Plaster." Locker & Riley have one of the most extensive libraries of moulds in the UK and have established a reputation as one of the industry’s outstanding performers. Lutron - "Dimmers and Lighting Controls." LUXAFLEX - since 1951. "Window Styling." Windows coverings and blinds. LUZZO BESPOKE - writing box. Machined and polished aluminium frame with leather trim. Leather trimmed interior with storage pockets for envelopes, paper and pens. MANUFACTURE DE LUXE - "Exceptional Fine Furnishings." Art furniture and design luxury furniture. MIRROR IMAGE - combines conventional mirror surfaces with a sophisticated monitor system, resulting in a fascinating and mesmerizing display for countless applications. A new LCD Active Matrix is elegantly mounted behind a mirror surface to dramatically display anything from TV and Satellite channels to PC presentations and video games. MIRROR TV - Hidden Television sales & manufacturing: frame your LCD, LED, or Plasma television. Bedroom & living room mirror TV; custom size TV mirror; vanity mirror TV. Moodo - "Switch on your mood." Smart Fragrance Machine. 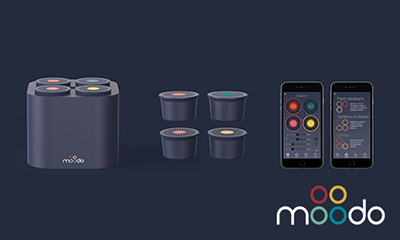 Create, mix, share your own ambiance instantly and switch on your mood. Take full control of your home's ambiance by mixing and matching the entire scent spectrum! More Weird Ways to Use Food to Clean Your Messes - The New York Times. MYFAB - myfab is the first internet platform selling premium design products direct from factories without intermediaries; delivering quality design at manufacturer prices. Nest introduces Hello, its first video doorbell - engadget. Nest's outdoor Cam IQ brings facial recognition to your backyard - engadget. Newton's cradle - device that demonstrates conservation of momentum and energy via a series of swinging spheres. When one on the end is lifted and released, the resulting force travels through the line and pushes the last one upward. The device is also known as Newton's balls or "Executive Ball Clicker". osborne & little - "Exquisite designer trimmings and accessories." 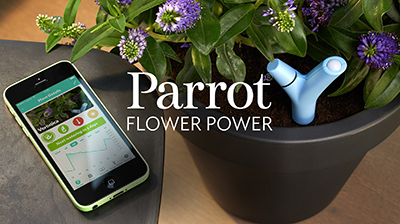 Parrot Flower Power - "An incredible sensor that assesses your plants' needs and sends alerts to your smartphone." Measures the health parameters of your plant in real time. Bluetooth 4.0 with Free dedicated iOS and Android App. Database with over 6,000 plants. PFAFF - "The premier brand in the world of creative sewing!" PRINCE WILLIAM POTTERY - "Britain's Premier Mug Decorator." Promotional mugs, printed mugs, advertising mugs. PSP MOULINS PEUGEOT - producer of the classic Paris pepper and salt mills (known in Paris' Café Society during the 50s & 60s as a Rubirosa ...). RECIPEASE - Jamie Oliver's food & kitchen shop (London). RENOVA - multi-colored toilet paper, paper towels, napkins, printed tissues. Riva 1920 - "Made in Italy." Display cabinets. RÖMERTOPF - clay bakers, clay pot cooking and Romertopf roasters. ROYAL DOULTON - since 1815. Shop online for tableware, gifts and collectables. Three of its brands are Royal Doulton, Royal Albert and Minton. RUBELLI - founded in 1858, produces hand-made fabrics using traditional techniques as well as highly sophisticated textiles. SALVO WEB - "Gateway to the world of ARCHITECTURAL SALVAGE & ANTIQUES, doors, fireplaces, furniture, gardens, glass, ironwork, kitchens, lighting, radiators, stone, windows and woodwork. RECLAIMED BUILDING MATERIALS, beams, bricks, flagstones, flooring, roof slates and tiles, timber. Some new, replica and reproduction. DEALERS & ADS." SAMSUNG LED MIRROR TV - "The thinnest ultra bright mirror TV on the market." SANTA MARIA NOVELLA - since 1612. Florence, Italy. Pot-pourri, for closets and drawers, room fragrances and incenses. SELETTI - "Art de la Table." 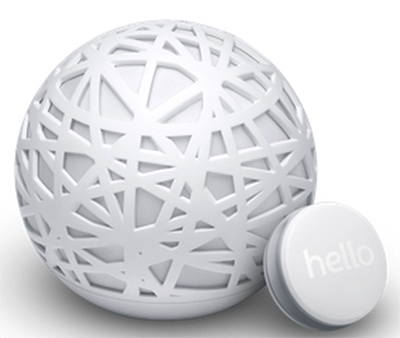 Sense by Hello - "Sense by Hello wakes you up feeling great, improves your sleep, and helps you learn how the environment of your ... Wake up energized with your Smart Alarm." SENSES ART NOUVEAU - art nouveau reproductions. SILVELOX - "Excellence in door manufacturing." SIMON LYCETT - Britain's finest florist. His dedicated team have been proud to create fabulous flower decorations for every type of event, from modest parties to decadent dinners and magical weddings the world over. 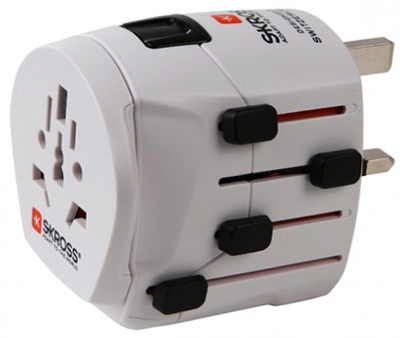 Skross - "Adapt to the World." Use your devices in over 150 countries worldwide. 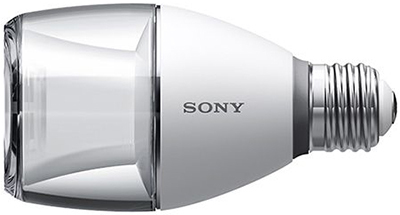 Sony LED Light Bulb Speaker - LED light bulb is also a Bluetooth speaker. STAIR TREADS - We have the right stair treads to meet your needs including commercial, apartment, and residential applications. Statuario Extra marble - one of the finest and luxurious natural stone, which is recognized by pure white color with black lines. It’s most famous applications are unconditionally on kitchen and bathroom countertops, on walls and floors. STAUB - "The benchmark for enameled cast iron cookware and is the reference brand for some of the worlds great chefs including Paul Bocuse." STEFANO RICCI - Royal Suite Collection. STELTON CYLINDA-LINE - designed by Danish designer Arne Jacobsen. 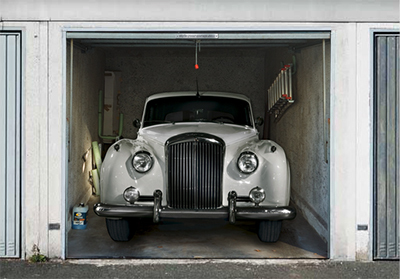 STYLE-YOUR-GARAGE - the days of boring garage doors are numbered! That’s because there are now photo tarpaulins for garage doors. 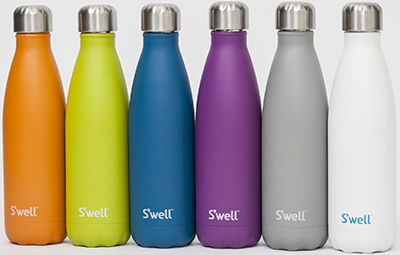 S'well Bottle - "The Best Reusable, Insulated Double Walled, Stainless Steel, Insulated Wine, Tea, Coffee and Water Bottle - Cold for 24 hours, Hot for 12." THE ATLANTIC BLANKET COMPANY - wide range of blankets and throws. Thermostats, Locks & Lights: Digital Tools of Domestic Abuse - The New York Times. TIMEBEAM - projects an analogue clock image on your wall. Try This High-Tech Alternative to the Key Under the Mat - Wired. 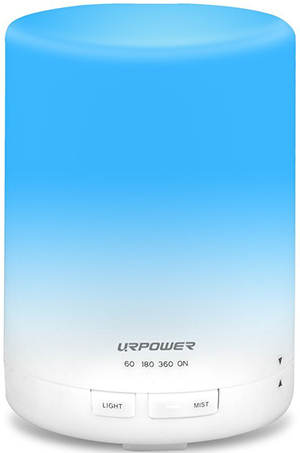 Urpower 300ml Aroma Essential Oil Diffuser - 2nd Generation 300ml Aroma Essential Oil Diffuser Ultrasonic Air Humidifier with AUTO Shut off & 6-7 HOURS Continuous Diffusing - 7 Color Changing LED Lights & 4 Timer Settings. V12 DESIGN - by Valerio Cometti based in Milan. Design from TV sets to personal computers, from lamps to coffee machines. Valoriani - since 1890. "World Famous Ovens For Pizza." Vessyl - "Automatically Knows And Tracks Everything You Drink." 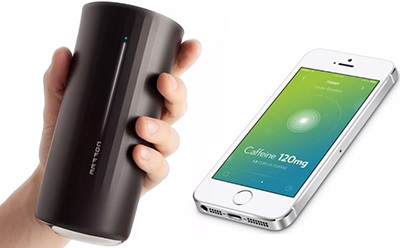 Drinking glass with embedded sensors and the capability of linking to a smartphone to provide its user with nutritional and other data on the beverage contained. VIKING - "Professional Performance for the Home." VIPP - "It all began with a pedal bin in 1939, but since then Vipp has grown into a large family offering a wide range of products." WATERFORD - originally founded in 1783. Crystal desk & office collectibles, paperweights. WEBER GRILLS - since 1893. American manufacturer of charcoal, gas and electric outdoor grills with related accessories. 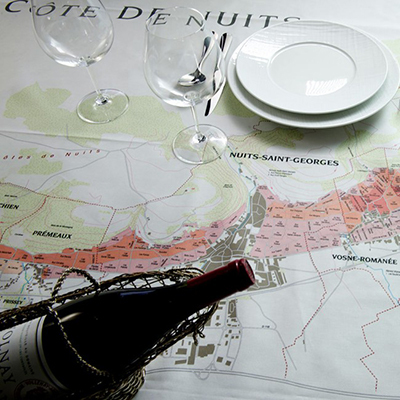 Wine Cloth Company - "High quality table cloths manufactured Georg Jensen Damask with very detailed and beautiful maps of your favorite wine regions." 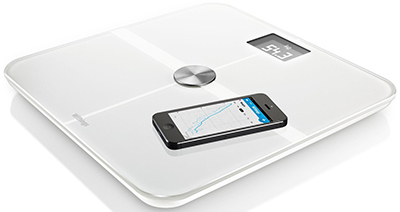 Withings Smart Body Analyzer - "Gain insights. Lose weight." Ultra precise weight and body fat measurement with position control; heart rate measurement by stepping on the scale; continuous indoor air quality tracking; automatic upload of your measurements in Wi-Fi and Bluetooth; health Mate app to visualize trends and improvements as well as calorie intake (Available on iOS and Android, in partner with MyFitnessPal). YASTIK - by Rifat Özbek. "A cushion is a luxury; a reminder of a journey, a memory of a dream." zoffany - "Zoffany trimmings supply the perfect finishing touch to soft furnishings, curtains and upholstery. 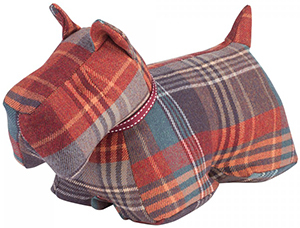 Made in the UK using traditional looms and long established hand work methods, highly skilled craftsmen and women use high quality materials to achieve the finest trimmings."